MLA is the proud supplier of the Mitsubishi brand and is also the exclusive Australian Distributor for the Vulcan Range of Heavy Forklifts and Container Handlers. Rent Mitsubishi lift trucks and Vulcan container handlers from one tonne up to 16 tonne. Purchase new or used lift trucks and have them delivered to your premises. 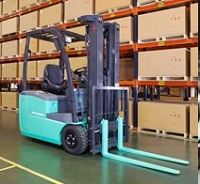 Select from a number of genuine parts for lift truck back-up. Consult with our team on technical support and effectively manage your fleet of equipment. Your enquiry has been sent to MLA Holdings Pty Ltd.